Summertime is time for corn-on-the-cob. 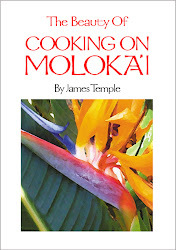 Every summer here on Moloka'i, we buy two or three dozen ears of sweet corn from the Lions Club. We remove the husks and blanch the corn for three minutes in boiling, salted water. After the ears have cooled, we cut the corn off the cobs and put the kernels in ziplock freezer bags and freeze it for later use, when sweet corn is no longer available. This Japanese inspired Sweet Corn Soup is a delicious way to use summer corn-off-the-cob anytime of year. If fresh corn is not available, use frozen corn. Remove the husk and silk from the corn and discard. Stand each cob on its end on a chopping board. Cut through the sides of the cob with a sharp knife large. Tip the corn kernels and any corn milk (the milky liquid which exudes from the cobs/kernels when you cut into them) into a bowl. Set aside, reserving the stripped cobs. Heat the chicken broth in a large saucepan and bring to the boil. Add the stripped corn cobs. Simmer for about 20 minutes. This imparts a sweet corn flavor to the stock. Discard the cobs and set the broth aside. Heat the oil in a large heavy-based saucepan (or wok) over a high heat. Quickly fry the white parts of the spring onion together with the chopped ginger for about 30 seconds. Add the corn, broth and soy sauce. Simmer for about 5 minutes. Combine the cornstarch with the water and sesame oil. Stir until smooth. Add a few splashes of the hot soup and stir to ensure there are no lumps. Tip the cornstarch mixture back into soup, making sure that it has dissolved. Pour the beaten egg into the soup, stirring with a fork (in a wide, whirling motion) to break up the strands as they form in the hot soup. Adjust with seasoning. Add more soy sauce if necessary. When you buy Amano brand uzumaki (steamed fish cake), it comes in the form of a stick, it tastes like crab meat and looks sort of like a red egg roll. If you are not familiar with uzumaki, you can see how I used it for garnish in another soup (click here). Slice it into 1/4" slices and add three slices to the top of each serving, then sprinkle over with chopped spring onion greens. Serve immediately. Makes 3 servings. Note: Replace the rice wine with mirin or dry sherry. Sometimes I prefer a thinner soup; I omit the cornstarch but often add cooked cellophane noodles instead. Naturally you can add other vegetables like carrots if you like. There are many variations on this recipe, I have seen scallops or pork used instead of fish cakes, but basically this soup is about the sweet corn. I think that anyone who has purchased celery feels the same way I do about it being an awkward vegetable. It's hard to fit in the vegetable bin, and when you need to use it, the best pieces are the tender ones in the middle. I never seem able to finish a bunch of it before it goes all limp and wobbly in the fridge. And whoever thought up celery as a vessel for cream cheese, yuck! Lately I have been investigating this gangly vegetable with a long history, and I have a new appreciation for it. Let me tell you about celery. There are 3 kinds, not including the seeds or celery salt. 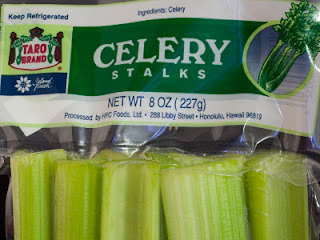 "Stalk celery" that we see most often in this country. Then there is one of my favorites, "celery root" or "celeriac", which is grown in Northern and Eastern Europe for it's enlarged root. 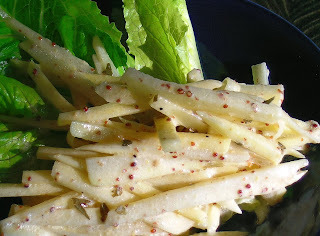 Celery root has also become popular here in the US. Lastly, celery that is grown for it's top leaves, and is known as "leaf celery" or "Chinese celery". 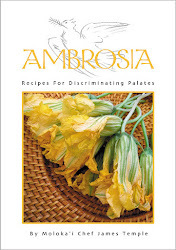 This third variety is grown in Asia and Mediterranean regions and is used for stir-fry, and garnishing. Celery is believed to be originally from the Mediterranean basin. 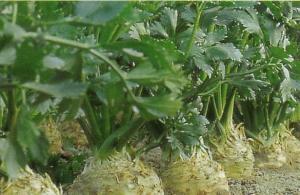 Ancient literature documents that celery, was cultivated for medicinal purposes before 850 B.C. The Chinese have been using a variety of celery since the 5th century AD for medicine. It is said that there doesn’t exist a better aliment for body and mind rejuvenation, than the celery leaves. The same opinion was shared by the old Egyptians, Greeks and Roman doctors. Today both the stalks and leaves of Chinese celery are eaten. Its stronger flavor and tougher texture limits its raw state use to garnishing. 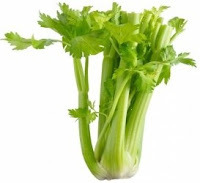 In Europe it was not until the 1600s in France that celery was first noted as an edible plant meant for consumption. The French considered celery to be an Italian vegetable because renaissance Italian gardeners revived the art of celery cultivation and developed the mild, succulent celery we know today. 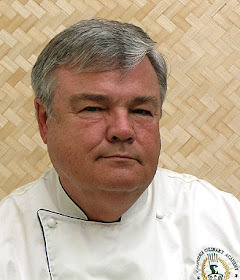 In this country, celery plays an important part in New Orleans Creole cookery, where it is used with onions and bell peppers known as the "holy trinity" in many dishes including gumbo. Currently California is harvesting the most celery in the US. Per capita consumption of celery in the US is about 10 pounds per person annually. Celery is grown in Hawaii even though it is a cool-season crop. It takes 16 weeks of 60 to 70 degree weather for the celery plant to reach maturity. 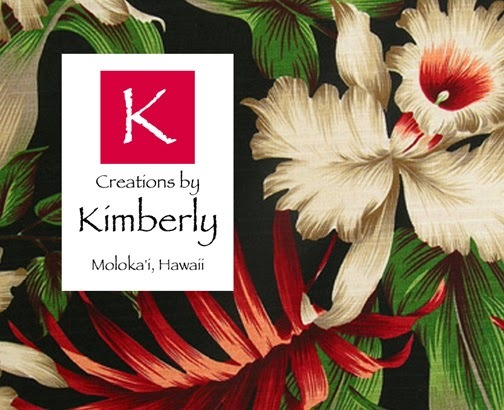 There are several organic farms growing celery in Hawaii, click here for a list. Celery stalks are sold under the Taro Brand name and is processed by HPC Foods Ltd. in Honolulu. Personally I believe celery is gaining in popularity. More and more chefs are rediscovering this simple vegetable, and are finding new and creative ways to use it. I love vegetable soup and this is a vegetable soup recipe with celery as the star. Chop the onion, potato, carrots, and celery into pieces that are about 1/2-inch or smaller. Do your best to cut everything roughly the same size, this will keep cooking time across the ingredients somewhat uniform. You should end up with about 2 1/2 cups of chopped celery. In a large thick-bottomed soup pot over medium high heat combine the olive oil, onion, potato, carrots, celery and a few big pinches of salt. Saute for about ten minutes or until the onions and celery soften a touch and expel some water. Stir in the garlic and add the stock. Bring to a simmer and let cook for another 10 minutes or until the celery, carrot and potatoes are just cooked through - resist the urge to over cook them into mush. Stir in the rice a few minutes before the potatoes and carrot are cooked though. Remove the soup from the heat and ladle into soup bowls. Top each with some Parmesan cheese. Makes about 6 servings. I love canned sardines, and they are very good for you, rich in omega-3 fatty acids. This simple salad uses canned sardines and celery to create a wonderful Portuguese side dish or a nifty little lunch. I first had ‘Celery Rémoulade’ in Paris, France when I was just 14, and I loved it. It is a delicious and nutritious salad, and is used as an accompaniment to roasted meat and fish. This root is sometimes hard to find in the US, but is becoming more popular. 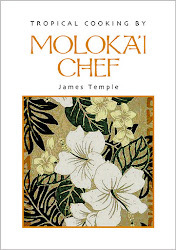 It's impossible to get here on Moloka'i, but stores like Whole Foods on the islands of Oahu and Maui do carry celery root. As a substitute, I have used white carrots. Actually celery is a member of the carrot family. One thing to remember about celery root is that when cut, it tends to discolor quite rapidly, so cut it into water that has lemon juice in it. Fill a medium sized bowl half full with cold water and add the 2 tablespoons of fresh lemon juice to the water. Place the bowl on a damp wash cloth (to help prevent the bowl from slipping). Add the peeled and shredded celery root to the bowl of lemon water as you cut it to prevent it from turning brown. Place a colander in the sink and drain the shredded celery root. Place the celery root back into the bowl and add the other ingredients. Blend everything together, then cover with plastic wrap and chill for 30 minutes to 2 hours. To serve, place romaine leaves on salad plates and add a scoop of celery salad on top of the romaine or watercress leaves. Makes 4-6 servings. Note: You can also make an elegant and delicious appetizer (pupu in Hawaiian) by combining olive oil with a little paprika; brush the oil on 8 fresh jumbo scallops, then broil, sear, or grill scallops about 1 to 2 minutes per side or until heated through. Make a small bed of celery rémoulade on small plates, and place one scallop in the middle. Garnish the top of each scallop with a little flying fish roe caviar (Tobiko) found in Japanese grocery stores. Makes 8 servings. Combine cucumbers, ginger, garlic, jalapeño (if using), salt, sugar, cilantro, lime juice and olive oil in a large bowl. Let sit at room temperature, stirring every so often, until flavors are combined and mellowed, about 40 minutes. Fish out the garlic cloves and discard. Add celery and basil and toss well. Taste and adjust seasoning with salt, sugar and lime juice if desired. Arrange avocado slices on plates and spoon salad and dressing over top. Makes 4 servings. In a large bowl, whisk together the yogurt, oil, mustard, garlic, and salt. Add the carrots, celery, and chives and toss. Serve alongside broiled fish and rice. Makes 4 servings. Hawaii loves ahi tuna, especially in poke, but this tuna steak recipe really sings with sweet & sour celery on the side. Heat the oil in a frying pan, add the onion and cook for 3-4 mins. Add the chopped celery and cook for a further 3-4 mins until beginning to soften. Stir in the tomatoes and cook over a medium heat until the tomatoes become pulpy. Add the capers, sugar and vinegar. Turn up the heat and cook until the vinegar has evaporated. Set aside. Heat a griddle and brush the tuna with a little oil and season. Place the tuna in the hot pan and cook for about 3 minutes on each side. (1 min each side for rare, 4 mins each side for well done). Serve the fish topped with the celery mixture and scatter over chopped parsley. Season to taste. Makes 4 servings. Serve this delicious cooked celery as a side dish with pork, beef, chicken, or over pasta. Place the celery in a steamer above 1 inch of boiling water. Cover and steam 5 minutes, until just tender when pierced with a knife. Remove from the heat and drain. Heat the oil over medium heat in a large, heavy skillet and add the garlic. Stir until it smells fragrant, about 30 seconds, and add the anchovy if using, tomatoes, 2 tablespoons of the parsley, a pinch of sugar and salt and pepper. Stir together, then stir in the celery. Cook, stirring often, until the tomatoes have cooked down and the mixture is fragrant, about 10 minutes. Taste and adjust the seasonings. Stir in the remaining parsley just before serving. Makes 4 servings. A simple salad served with a simple meal. combine everything in a large bowl. Toss with the lemon juice, olive oil and parsley. Stir in the red pepper flakes and season to taste with salt and pepper. Makes 2-4 servings. This colorful slaw is wonderful as a side dish with fish tacos or served on top of a cold cut sandwich. Coarsely grate the radishes and carrot, then finely slice the shallots and celery. Mix together the white wine vinegar, mayonnaise and yogurt and season. Then add to the vegetables and combine well until everything is coated. Makes 6 servings. This colorful salad is very easy to make. You can add mushrooms or radishes if you like. Toss vegetables into a large bowl as you prepare them. In another small bowl, whisk together the vinegar, mustard, garlic, cumin, salt and a few grinds of fresh black pepper. Slowly drizzle in the olive oil in a thin, steady stream, whisking as you go. This will form an emulsion and thicken the dressing. Stir in parsley and mint. Just before serving pour the vinaigrette over the salad and toss until everything is evenly coated. Taste to see if a little more salt is needed and serve. Makes 6 servings. In a small bowl, combine the soy sauce, chili sauce, sherry and sugar. Heat a wok or a large, heavy skillet fitted with a lid over high heat. Add 2 tablespoons of the oil. Add the celery and stir a few times; then add the salt and cook for 1 minute. Transfer the celery to a dish; clean and dry the wok. Reheat the pan and add the remaining 2 tablespoons of oil. After about 30 seconds, add the garlic clove, flipping a few times; then add the ginger and the pork, stirring to break up the lumps. Stir in the soy-sauce mixture. Return the celery to the pan and toss. Add the chicken stock, cover and reduce the heat to medium-low. Steam to reduce the liquid, about 2 minutes. Remove the lid, increase the heat to high and stir until the liquid has evaporated. Add the sesame oil and toss well. Discard the garlic clove. Makes 3 to 4 servings. This is a very popular dish in England where it is served with roast beef or venison. 1 large head of celery, with 8 of the outside tougher stalks removed and saved for another use. Separate the sticks of celery, string those that need it and slice them in half and place spread out in a single layer in a shallow ovenproof dish. Dot with the butter and pour over the stock. Season with salt and pepper. Cover tightly with a well-fitting lid or some foil. Bake in the oven at 325˚F for 2 ½ hours. Makes 6 servings. I love pickling things, and while celery is not exactly a Japanese vegetable, it pickles well with these ingredients to be served as an appetizer, or along side a meal. Combine the first 6 ingredients in a small pan. Heat up while stirring to dissolve the sugar and salt. Let come to a boil (to evaporate some of the alcohol) and let cool. Wash and cut the celery stalks into 3 inch lengths, then cut them into matchsticks. Cut in half, de-seed and devein the chili pepper. Julienne very finely. Put the pickling liquid and the vegetables in a plastic zip bag, close up and toss well. Let marinade in the refrigerator for at least 3 hours but no more than a day, turning the bag every hour or so. To serve, arrange on a plate, spoon over some of the pickling liquid, and drizzle with a little sesame oil. This simple Italian chutney, "Mostarda di Sedano", is wonderful served as an antipasti with ricotta cheese and prosciutto, or as a condiment with roast chicken or turkey. Shave off any tough and stringy outer peel with a vegetable peeler. Cut them lengthwise into 1/8-inch matchsticks. Cut the sticks crosswise into 1/8-inch cubes. This should yield about 6 cups. Put the sugar and salt in a saucepan and add the lemon juice then the celery. Cook at medium-high, stirring until the sugar and salt dissolve and the celery releases some of its liquid. Bring the syrup to a gentle simmer, stirring frequently. Cover the pot and cook for about 15 minutes, stirring occasionally. Uncover the pot and cook at a simmer, stirring frequently until all of the liquid is absorbed.Cool completely before serving. You can store the mostarda in the refrigerator in a tightly sealed jar for a couple of months. Makes about 2 cups.